As the Fall 2014 academic semester begins, graduate students begin to shop for classes and thesis research topics. To help guide junior researchers to the research opportunities at the LIINES, we have posted a new research opportunities page. As the Fall 2014 academic semester begins, graduate students begin to shop for classes and thesis research topics. Today, the Engineering Systems and Management Faculty met to present their research topics to the incoming class. If you missed it, get in touch with the ESM Department Head: Prof. Mohammad Omar. Smart Power Grids: As a full energy value chain including power generation, power transmission & distribution and building systems. Energy Water Nexus: Focusing on points of interconnection including power generation, desalination, water pumping and building systems. Electrification of Transportation: Focusing on electric vehicles, buses and trains as a point of interconnection. Reconfigurable Manufacturing Systems: Automated manufacturing to support sustainable, mass-customized products. More information on each of these can be found on the LIINES research page. Additionally, we have written several blog posts on each of these topics. 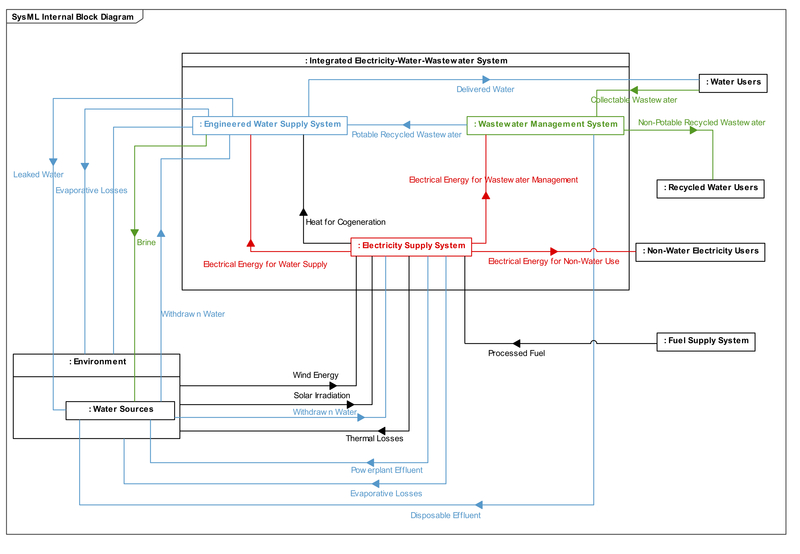 At the Laboratory for Intelligent Integrated Networks of Engineering Systems, we have been working on the Energy-Water Nexus in recognition that the supply and demand of water and energy are inherently coupled. In the Middle East, this coupling is particularly aggravated by the hot & arid climate and regional water scarcity. This subject has gained the attention of numerous policy centers. Most recently, the EU-GCC Clean Energy Network has recognized the need to collaborate on the Energy-Water Nexus. On November 26-27 2013, they held the EU-GCC Renewable Energy Policy Experts’ Workshop was held at Masdar Institute in Abu Dhabi, UAE. Prof. Amro M. Farid was invited to give a keynote presentation entitled: “Opportunities for Operations Management & Planning of the Energy-Water Nexus”. In this presentation, we first advocated the need for integrated energy-water markets based upon our recent publications on the subject. We also noted the potential for integrated energy-water planning that can prioritize the water-intensity of energy technologies and the energy-intensity of water technologies. Full text of our papers on the energy-water nexus may be found through the LIINES Website publications page.